Oh, to be 21 again. From the writers of The Hangover comes 21 and Over. Like the misadventures of The Wolfpack, the cubs of 21 and Over are in for a night of poor life choices they’ll never forget. You can be too if you make the good life choice of attending the Ottawa sneak peek of Alliance Films’ upcoming release 21 and Over. Straight-A college student Jeff Chang has always done what’s expected of him. But when his two best friends Casey and Miller surprise him with a visit for his 21st birthday, he decides to do the unexpected for a change, even though his critical medical school interview is early the next morning. What was supposed to be one beer becomes one night of chaos, over indulgence and utter debauchery in this outrageous comedy. 21 and Over stars Justin Chon (Twilight), Miles Teller (Project X), and Skylar Astin (Pitch Perfect). Thanks to our friends at Alliance Films, we can give away ten (10) double passes to the Ottawa sneak peek of 21 and Over. All you have to do to enter is answer the following question: 21 and Over is a new entry in the sub-genre of coming-of-age films. What popular Canadian coming-of-age film turns 21 this year? Email your answer to contests@cinemablographer.com with the subject “21”. Bonus entries go to anyone who RTs this contest on Twitter or shares it on Facebook! Contest closes Monday, February 25th at noon. Screening takes place Wednesday, February 27th at the Coliseum. 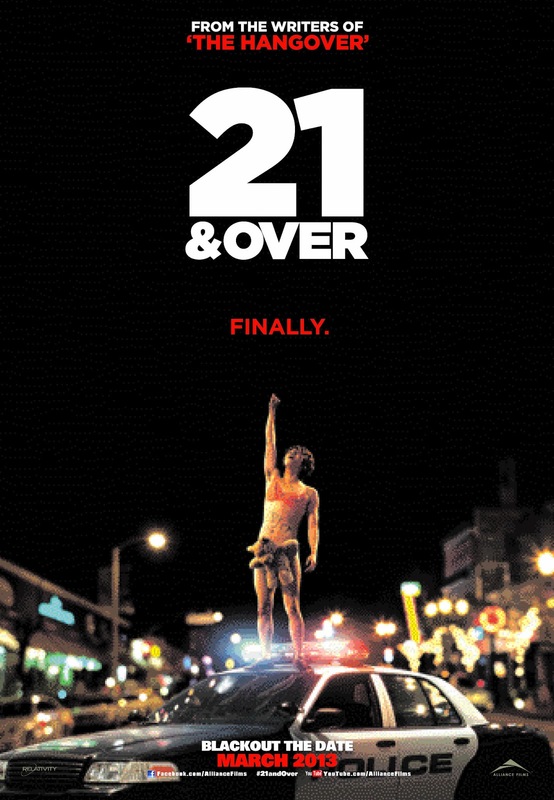 21 and Over opens in theatres Friday, March 1st from Alliance Films.